After a decade heading up a high-profile, high pressure government job in Canberra, Jay Martin is ready for a sea change. 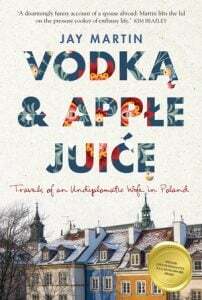 So, when her diplomat husband, Tom, announces he’s been offered a three-year placement in Warsaw, Jay is more than ready to say ‘yes.’ As revealed in her candid memoir, Vodka and Apple Juice, Jay’s so keen to leave the stress of Canberra and enjoy some new adventures, she would pack her bags on the spot if she could. Fast forward eighteen months, and Jay and Tom are about to leave for Poland. The contents of their home are in cardboard boxes, their car has been sold and their official passports have arrived. It’s time to wave Canberra goodbye and before she knows it, Jay is sitting, drinking a cappuccino with Tom in Warsaw’s Old Town Square, in awe at the dramatic shift her life has taken. But life in Poland proves more of an adjustment than Jay expected. Poland itself often doesn’t make sense: vegetarian pizzas come with pork, and shop assistants never have any change, for example. Before long, Jay begins to struggle with her newfound identity as a supportive wife. When Jay’s relationship with Tom begins to crumble, she begins to regret ever having left Canberra. Can she find her feet in her new home, and save her marriage? It’s a big challenge, even for Jay, the most intrepid of travellers. Recounting her three years as a diplomat’s wife in Warsaw, Vodka and Apple Juice is a delightful and moving new memoir by Jay Martin. Jay is a deeply likeable narrator, freely acknowledging the privilege of her situation while also writing honestly about the difficulties of her life in Poland. Her candour and wit make Vodka and Apple Juice an endlessly engaging read. It’s fun, too – and fascinating – to follow Jay as she sets out to learn more about her new home. Her ongoing quest to learn Polish, despite its many grammatical eccentricities, is charmingly and humorously chronicled, and Jay’s unwavering willingness to immerse herself in new cultural experiences means the book is filled with lovely anecdotes about trips to lesser-known parts of Poland. Through Jay’s eyes, we’re treated to a deftly-observed portrait of the country, in all its quirky, wonderful and sometimes baffling glory. In documenting her struggles as a diplomat’s wife in Vodka and Apple Juice, Jay examines what it really means for an independent, working woman to suddenly find herself defined by her husband’s job. Setting itself apart from other travel memoirs, Vodka and Apple Juice prompts reflection on identity, belonging and personal choice. If you enjoyed Sarah Turnbull’s Almost French, Elizabeth Gilbert’s Eat, Pray, Love or Cheryl Strayed’s Wild, pick up Vodka and Apple Juice. You won’t be disappointed. 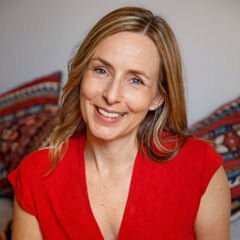 Jay Martin grew up in Melbourne and lived in the UK, Vietnam, India, Japan and Perth before moving to Canberra, where she worked as a social policy advisor and inadvertently married a diplomat. While in Poland, Jay worked as a freelance writer for Australian and European publications, volunteered at the Warsaw Uprising Museum and baked one decent chocolate cake. She came to understand snow and vodka, but never, really, pickled herring. Jay lives in Alberta, Canada, with her husband.